On March 20th, 2015, a group of 6 birders (myself included) birded Valle Chiquito, from a tour from Canopy Lodge. 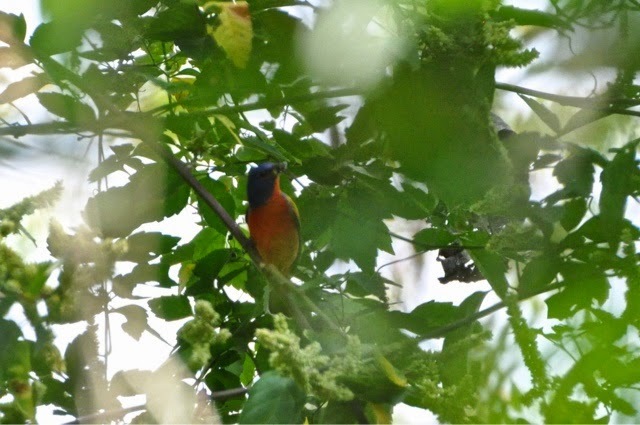 We found an adult male Painted Bunting in the forest a little bit, just off of the road that goes through the valley. I'm not from the area, so I don't have an exact location - I hope this will do. The eBird reviewer for this area asked me if I could send in this report to you. I have also attached one of my photos.